After being sacked by Nissan from his Chairman of the Board position last week, Mitsubishi Motors Corporation moved swiftly and has done the same and ousted Carlos Ghosn their Chairman and Representative Director. With Nissan owning a 34 percent stake in Mitsubishi, the latter’s decision to remove Ghosn is founded on the former’s loss of confidence with the disgraced former Chairman. Thus, Mitsubishi considers it “difficult for Ghosn to continue conducting his activities as their Representative Director and Chairman of the Board.” Ghosn though will continue to be a board member of Mitsubishi. Ghosn has been charged with several cases of misconduct including the under declaration of his compensation and the use of company assets for personal use. In the interim, Mitsubishi has appointed Osamu Masuko has their Chairman until the next General Shareholders Meeting. Masuko is currently Mitsubishi’s Chief Executive Officer, a position he will hold concurrently. 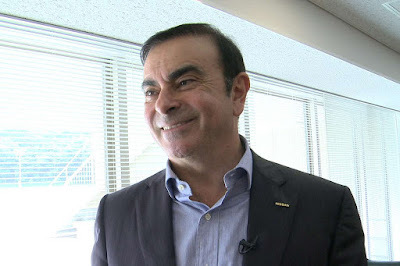 Despite being removed from the top leadership position in both Nissan and Mitsubishi, Ghosn has managed to keep his Chairman role at Alliance member Renault. Hi Uly. I follow your site and I like your articles. I find your car reviews more neutral and that they come from both a driver and owner perspective. It's a refreshing take compared to the glowing reviews that cars (and car manufacturers) get from sites such as TGP and AI. Also, your replies to comments are never condescending (I'm looking at you, Visor). However, the first sentence of this article does not make sense. "After being sacked by Nissan..., Mitsubishi ... has done the same." Mitsubishi wasn't sacked. Mitsubishi did the sacking, after Nissan did so. Anyway, I continue to be a fan. Keep those articles coming!